Ontario RCMP, Interpol agents, and Agent Milo Finn of G-Unit track a Gaborchend monk accused of murder to the National Gallery of Canada in Ottawa. The monk, identity unknown, had evaded capture for five days after a Canadian politician was killed at his home. An eyewitness managed to secure the license plate tags on the rental car leaving the scene of the murder. The politician, Davos McLaughlin, had been an outspoken critic of the religious cult. He was found dead in his home by his housekeeper with the numbers "666" carved deep into his chest. Davos had recently refused a $5 million contribution to his reelection campaign which he said was the terrorist organization's attempt to buy his silence. 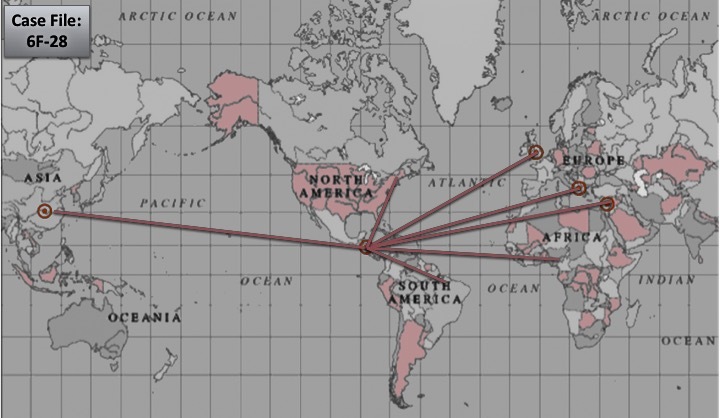 [note: Canada has dealt with a series of Gaborchend recruitment activities in the Ottawa region] After a six hour gunfire standoff with Ontario RCMP, Interpol agents, and Agent Finn, the Gaborchend monk was shot dead when he opened his cloak and revealed what appeared to be a bomb. The monk was, in fact, wearing a bomb, however Agent Finn managed to get off a kill shot before the monk was able to detonate the device. The monk died near the front entrance of the gallery in front of the famous Maman spider sculpture. 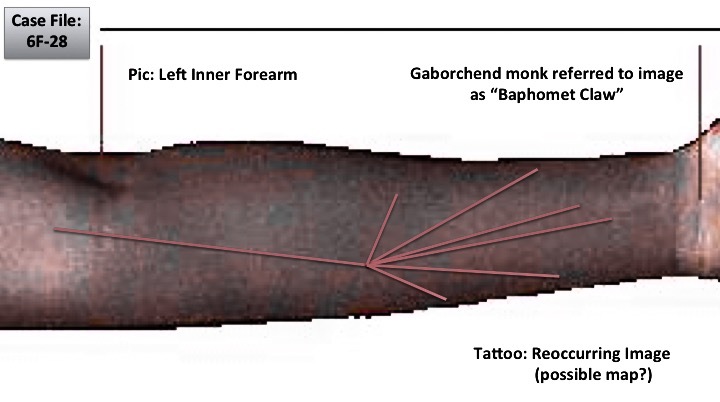 A later autopsy of the Gaborchend monk revealed a tattoo found on his inner left forearm. The image has since been identified as the "Baphomet Claw" which many occultists have speculated to be a map to the legendary Baphomet Crossings - hidden portals between Earth and the Underworld.